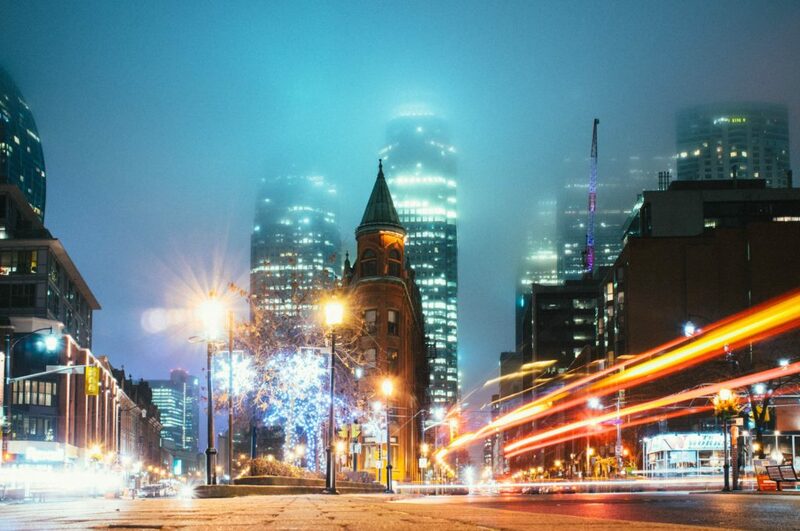 Welcoming a record 43.7 million visitors last year, Toronto has become one of the world’s hottest tourist destinations. Canada’s most populous city has seemingly infinite possibilities for where to go, see, eat, and sleep, so how to narrow it down? Experts Karolína and Andrew are here to help with their best Toronto tips. Karolína and Andrew are an international couple who overcame 7000 kilometers to meet for the first time in Toronto, a city that is now near and dear to their hearts. 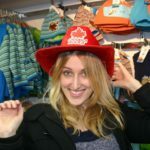 Together, they travel around the world and share their experiences with readers on their blog, Canadian Slovak. I spoke to them about why Toronto means so much to them and all the best places to check out when visiting Canada’s biggest city. What do you love about Toronto? What makes it special to you? Toronto is an incredible city with tons of things to do, food to try or time to spend. It was my first Canadian city to visit, and I have to say that I fell in love immediately—and not only with the city but my Canadian partner, who I met for the first time in Toronto! Well, that’s a pretty great reason to love it! What’s your all-time favorite spot there? My personal favorite was the markets. 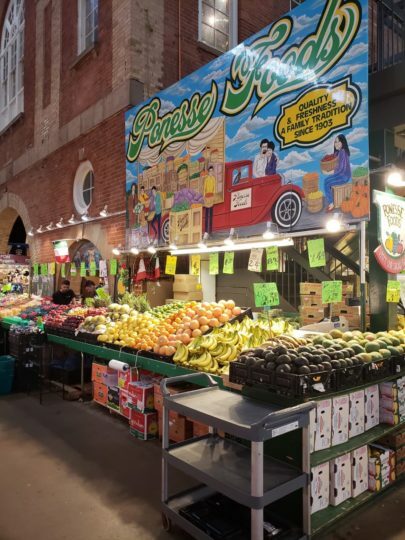 Toronto is famous for its markets such as St Lawrence or Kensington Market. We explored both of them and have to say that you can find pretty much anything you are looking for there, whether you are after ingredients or you come for breakfast, as we did! Whether its fruits or veggies, everything is fresh and ready to use! We totally enjoyed the atmosphere in there, mostly on the weekends. If a traveler only had 24 hours in the city, what are some places you’d tell them they absolutely can’t miss? If a traveler only had 24 hours in the city, I would for sure recommend that they check out the CN Tower, either at the base of the tower or take the journey up. And if they are into shopping, I would tell them to check out the Eaton’s Centre, which has a large selection of popular stores, from clothing and shoes to home decorations. I would also suggest that they take a trip to the waterfront area, as there is a wonderful atmosphere and view with many interesting restaurants to enjoy. What should travelers know about the local culture or people of Toronto? 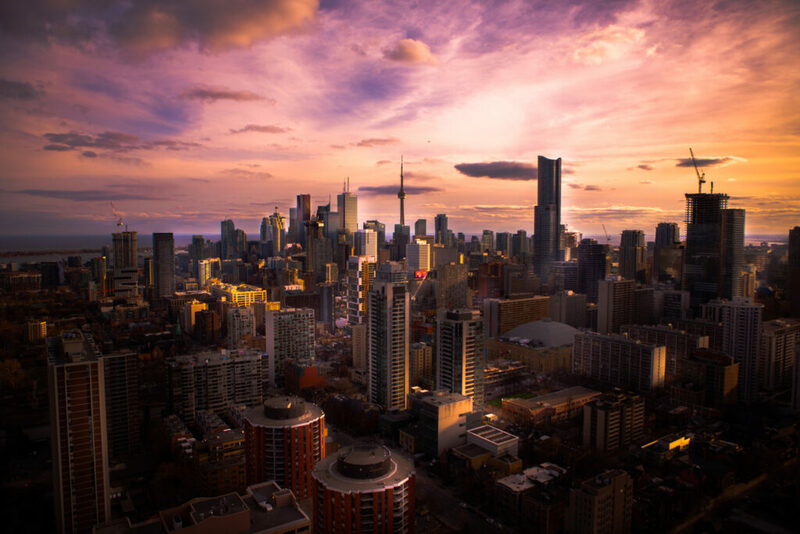 Toronto is a very vibrant and international city with a mixture of different cultures from all around the world. The city offers everything one needs; no matter where from in the world you are travelling from and no matter what you are looking for, you can surely find exactly what you are looking for. The people of Toronto are very friendly and helpful. For example, if you are lost and need help with directions, most people are happy to point you in the right direction. What’s a cool neighborhood you’d recommend to visitors looking for something a little different? Chinatown is a very unique and interesting place to visit while in Toronto. Right after entering, you forget that you are in Canada, as the architecture, people and the atmosphere make it so authentic. You can find anything in here, from Chinese food specials to souvenirs from Canada. We bought many of them in one of the shops, as they offer a large spectrum for a good price. Also, if you feel tired after so many days of walking and exploring the city, there are many spas and day salons in this part of the city. Tell me about your favorite restaurants in Toronto. Our favorite breakfast spot was Cora’s. Located close to the Blue Jay’s stadium, Cora’s offers an authentic Canadian breakfast that won’t leave you hungry—actually the opposite! There are many things to choose from the menu, featuring sandwiches, pancakes or eggs. Warning, it gets a bit crowded so you might spend a minute waiting for a table, but the food is worth it! If you are looking for a lunch place and you enjoy Italian food, we visited Scaddabush and had a lovely and fulfilling dinner there. Their menu offers pastas, steaks and salads, so everybody finds something they like. We went for meatball spaghetti and penne pasta with few drinks and their signature mozzarella as a starter, and it was really tasty. If you have a sweet tooth like us, we have an amazing place to share with you! 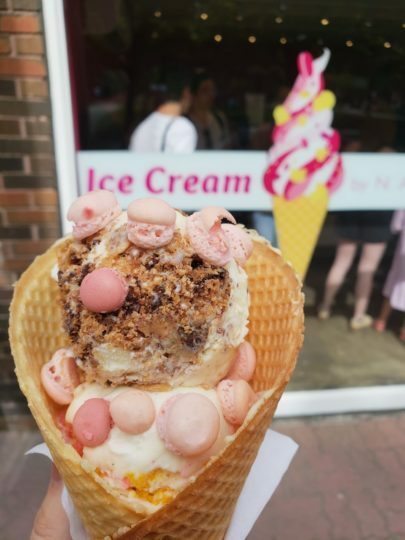 Nadege Patisserie is a bakery/ice cream shop located right next to the Trinity Bellwoods park where you can grab an ice cream in a homemade waffle or macarons or ice cream with the macarons on it (yes, it is possible!) and go enjoy the day in a park. Where would you recommend tourists stay when visiting? The advantage of staying close to the city center is that you do not need to use any type of transportation; instead you walk. If you choose either Fashion, Entertainment, Financial Districts or Waterfront, everything should be reachable within maximum twenty minutes of walking. About accommodation, we used Airbnb to rent an apartment, but I am pretty sure you can find plenty of basement apartments, which are really common, hostels or private rooms. What are the most photo-worthy or Instagrammable spots? Any fantastic lookouts or otherwise photogenic spots? There are many spots that are worth a look, but if you are really looking for a great shot of the city, I definitely recommend the view of the city from the Central Toronto Island. It is a great chance to capture all the important features in one picture just as I did. Another spot I would visit again is the Fashion District with many art/street art paintings on the walls! One of the most famous ones was actually right behind the building we lived in, the painting of Kate Moss. Sounds beautiful! 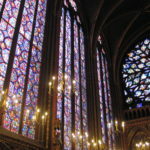 Any must-see museums or monuments? Standing at 553 metres, the CN Tower is a signature icon of Toronto and definitely a monument to admire! Either you choose to only check it out from the outside, or you have the courage to climb up and have dinner in the sky or try the EdgeWalk! Additionally, another important attraction that is definitely worth a visit is the Royal Ontario Museum or ROM for short. It contains a wide variety of exhibits from almost every culture and time period. It even has many interactive areas that are kid-friendly as well if you are travelling with your family. What tips do you have for travelers looking to avoid the crowds? We totally recommend walking the quieter side streets instead of the main one. Also, it is better to plan your trip and visit during working days, as it gets a bit more crowded during the weekend, mostly in the museums and such. What should visitors know about transportation around the city? Transportation in the city offers a variety to choose from. If you are not on a budget and prefer to travel by car, Uber is a good pick for a longer drives. But while in the city, you can take a ride on a streetcar or use the subway. 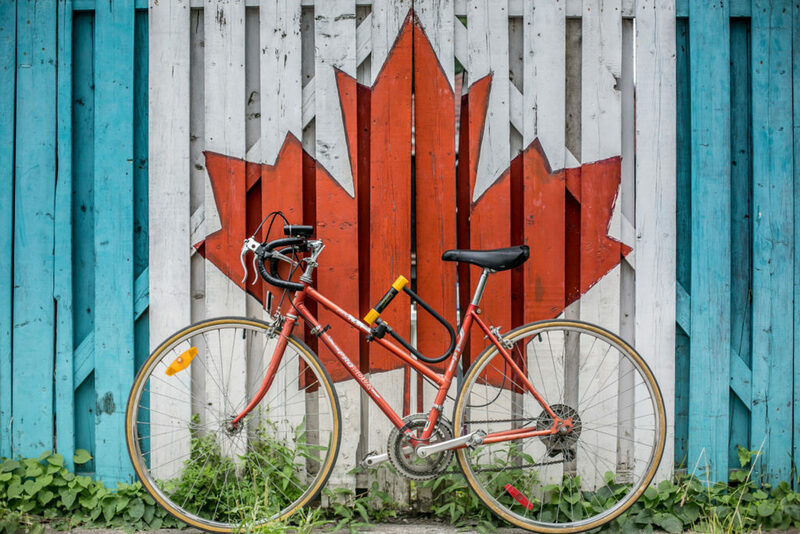 Another great option is to rent a bike; rental spots can be found all across the city. It’s a nice way of transport and fun activity at the same time. Another transport used is a ferry, which takes you to the islands and back. Any other favorites in Toronto? If you are traveling with kids or you simply love animals, you definitely have to visit Ripley’s Aquarium! 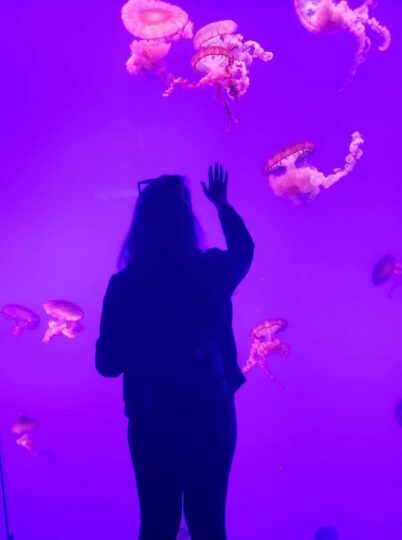 Located right under the CN Tower, it’s a fun place with not only fish, sharks or jellyfish but with interactive presentations and panels to play. You can learn and explore the underwater life from all over the world as well as the Canadian ones. You can touch a few of the fish in the end, walk through the shark tunnel, have a snack while watching the aquariums or buy some souvenirs in the souvenir shop at the exit. 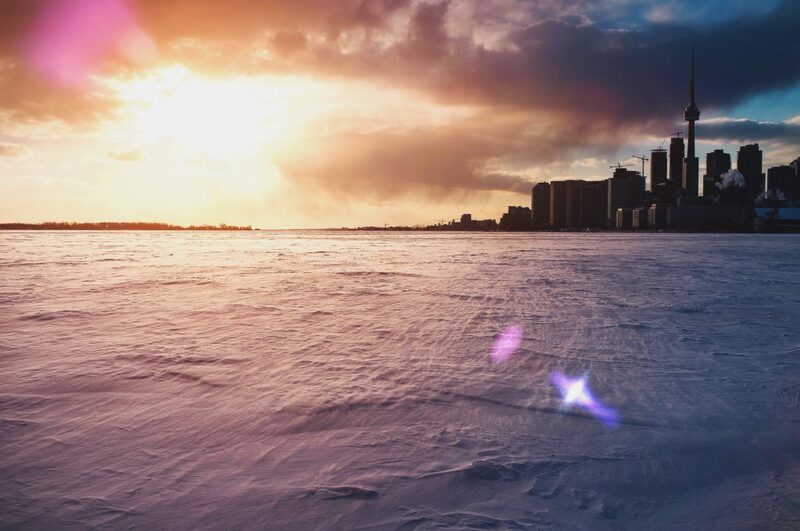 For more Toronto tips and other travel advice from Karolína and Andrew, be sure to check out Canadian Slovak, or follow them on Instagram at @wematched or their personal profiles @palovicovie and @adh_hd. Enjoy your visit! That ice cream cone looks fabulous. What eye-popping pictures. Fabulous post here Kirstie. Thanks, Ryan! All credit goes to my lovely interviewees, Karolína and Andrew! i love toronto.it’s like a dream to live here in toronto. I’d love to see it! Toronto is indeed a beautiful city I can tell via the visuals. I would love to visit there someday. Actually, Canada is a great nation. I would love to visit too! Karolína and Andrew have made it sound really amazing! Same here! I’m sure you’ll love it whenever you get time to go!